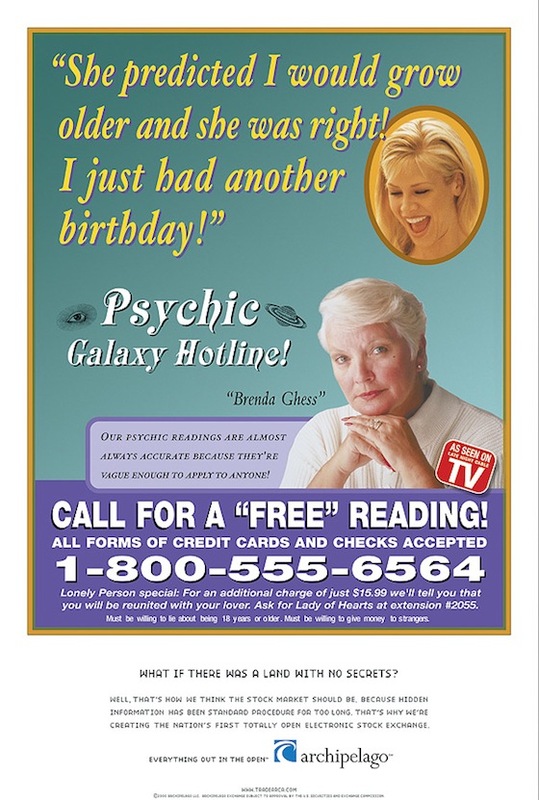 How Concerned Are You about Your Eternal Destiny? How much do you know or care about the end of the world? How much do you want to know? To what extent should you care? What is your degree of awareness for such things as: Return of Jews to their Promised Land, The Rapture, Antichrist (perhaps even his identity), The Great Tribulation, The Second Coming of Christ, Resurrection of the Dead, and Eternity (where will you be). On a scale of 1 to 10, what is your level of interest? One, Three, Seven, or Ten? An immediate reaction would be that most Christians would fall into the upper half of this Interest Scale … with unbelievers on the lower half. Not necessarily so. Despite the fact that nearly one-third of the Bible is prophecy, even some Christians are not all that concerned with what Scripture has to say about the future—often referred to as the Day of the Lord, last days, or end times. Conversely, many unbelievers are deeply disturbed over what the future holds for them, as well they should be. It’s just that believers (whatever their level of interest in prophecy) look to what the true and living God has to say about their destiny as recorded in the Bible. Whereas, unbelievers turn to astrology, psychics, fortune tellers, self-proclaimed prophets, man-made gods and religions, charismatic leaders—both religious and irreligious—or to themselves. As said on several occasions in prior Eye of Prophecy articles, there are two things that separate the Bible and the Triune God (Father, Son, and Holy Spirit) from the gods or leaders of man-made religions and cults. 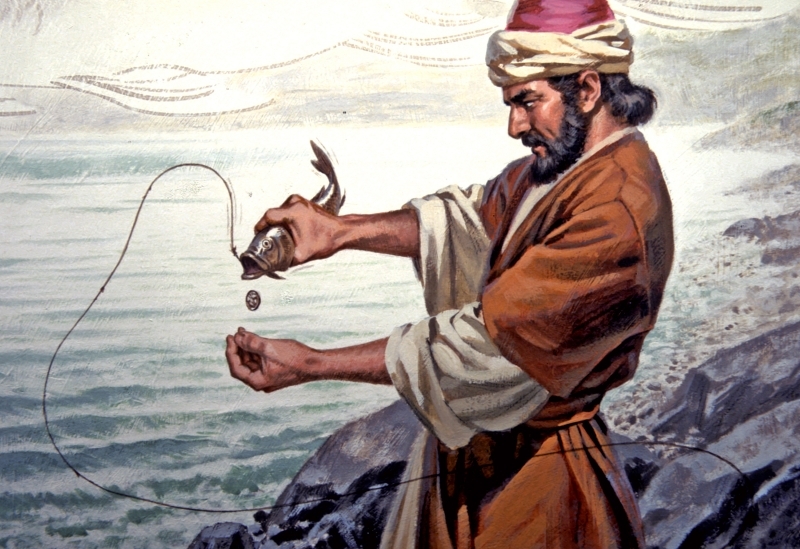 (1) Hundreds of fulfilled prophecies, such as those accomplished by Jesus of Nazareth. 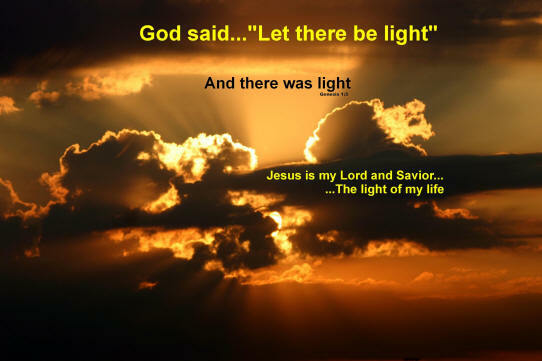 (2) Mighty miracles performed by God the Father and Messiah Jesus the Son, while he was on this earth. 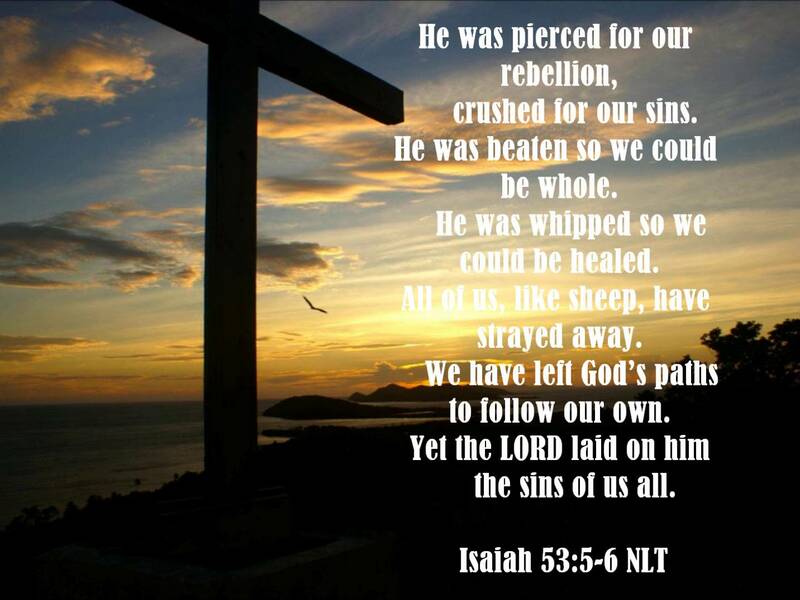 The greatest of which was his resurrection from the dead. If so many prophecies given by the God of the Bible have come to pass and if He and His Son have performed so many astounding miracles, then might it not be reasonable, logical, and prudent to heed what the Lord has to say about things yet to come? Concerning the topic of today’s article, even those well-versed in Biblical prophecy are sometimes confused over the sequence of end-times events. So, let’s itemize the prophetic events of the last days, and also place them in chronological order in which they will be fulfilled; toward the hopeful goal of continuity, clarification, and even correction of misunderstandings or misconceptions. First, let’s take a brief, but panoramic look at what God as already done, also in chronological order. Then the Lord spoke light into existence; separated the waters that covered the earth into dry land and water; created all living things (plant and animal); began the recording of time itself; and formed man and woman in his image (Genesis Chapter 1). “Then God said, ‘Let us make human beings in our image, to be like us…’” (Genesis 1:26). It’s our soul, spirit, mind, and language that distinguishes us from animals. Not to be God, but to be like him in the sense that we can know him, fellowship with him, and comprehend his plan for our eternal destiny. God gave man and woman free will, the right to choose (everlasting) life or physical then spiritual death—separation from God for all eternity. With the capacity to choose focused on one thing: agreeing with (obeying) or disagreeing with (disobeying) God’s very simple instructions. “The Lord placed the man in the Garden of Eden to tend and watch over it. But the Lord God warned him, ‘You may freely eat the fruit of every tree in the garden—except the tree of the knowledge of good and evil. If you eat its fruit, you are sure to die’” (Genesis 2:15-16). Adam and Eve chose wrongly. Their original sin has infected mankind ever since. “For everyone has sinned; we all fall short of God’s glorious standard” (Romans 3:23). “And I will cause hostility between you and the woman, and between your offspring and her offspring. He will strike your head, and you will strike his heel” (Genesis 3:15). Scripture clearly shows us that God is omniscient, knowing the end from the beginning. Thus even before the creation of the world, the Lord conceived his marvelous design of redemption for mankind. This plan was in two distinct parts and phases, and it is vitally important to distinguish between these two blueprints. Down through the years, even well-meaning Christians have tragically failed to see the distinction between the two. Among other things this has resulted in the insidious insinuation that the Church has replaced Israel, with God’s providential plan for the Jews no longer in effect. That is as wrong as anything can be. There are several passages in Scripture to refute such an idea, not the least of which is Romans Chapters 9-11. After repopulation of the earth following the Great Flood, God selected one man to become the progenitor of a race of people to whom God would reveal himself and through whom Messiah would bring redemption to the whole world. Because God’s chosen people, the Jews, couldn’t and wouldn’t faithfully obey God and keep the Mosaic Covenant, they were exiled (twice) to Gentile nations. Yet the Old Testament prophets predicted that the Jews would one day return to Israel and reclaim the land God promised to them as a perpetual inheritance. In our generation we have seen that amazing promise come to pass. Which is the bedrock foundational beginning of all end-times prophecies as we shall soon examine in chronological sequence. The ultimate blessing promised to Abraham through his son Isaac was/is Messiah Jesus and so great a salvation he purchased with his blood shed as a ransom for all who would believe in him. 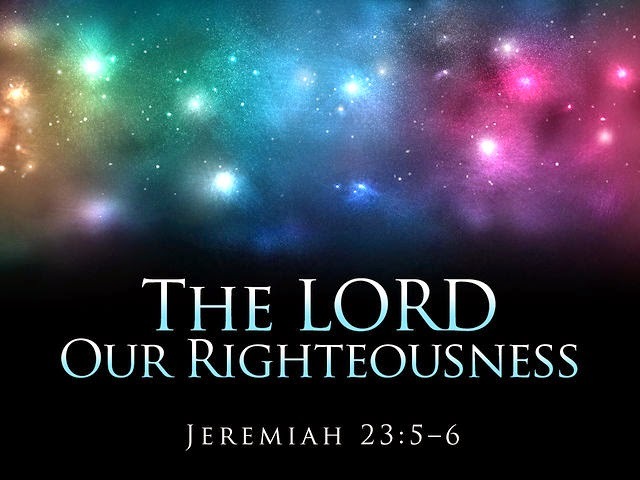 Through the prophets Isaiah and especially Jeremiah, God announced a New Covenant to replace the Mosaic Covenant, including the Levitical Sacrificial System (See Jeremiah 31:31-34). This would be accomplished by Messiah Jesus, with both Jew and Gentile being made one in Christ. But this is a spiritual union, not a physical one. The physical return to and perpetual possession of the Promised Land of Israel is for the Jews alone (Plan A) although there will be some Gentiles living in Israel in the end times. 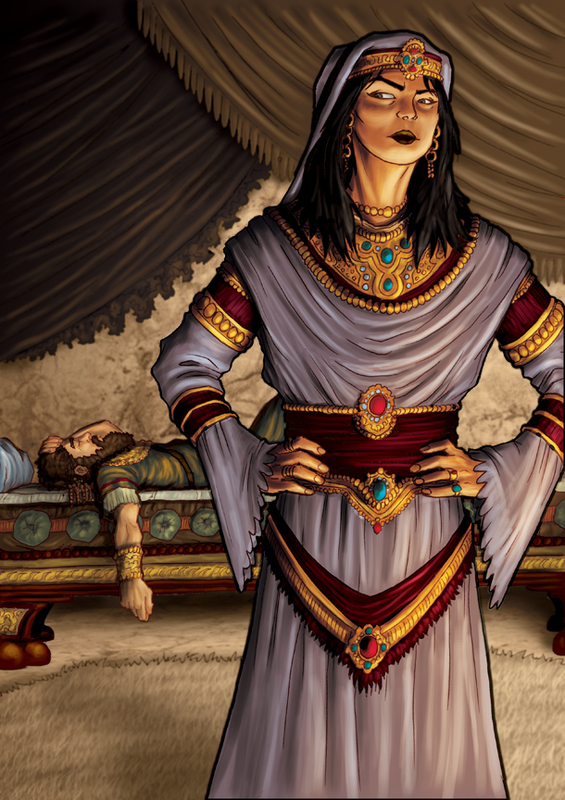 “Long ago God spoke many times and in many ways to our ancestors through the prophets. And now in these final days, he has spoken to us through his Son. God promised everything to the Son as an inheritance, and through the Son he created the universe. The Son radiates God’s own glory and expresses the very character of God, and he sustains everything by the mighty power of his command. When he had cleansed us from our sins, he sat down in the place of honor at the right hand of the majestic God in heaven” (Hebrews 1:1-3). “After supper he (Jesus) took another cup of wine and said, ‘This cup is the new covenant between God and his people—an agreement confirmed with my blood, which is poured out as a sacrifice for you’” (Luke 22:20). Thus, Plan B is the Church, defined by the Greek word “ecclesia” as individuals (not an organization or clerical hierarchy) called out from the world to be part of the spiritual building and body of Christ … Jew and Gentile alike. Which brings us to where we are right now in a world longing for something much higher than all past and current governments and someone much better than all previous and present-day leaders, to bring us peace. 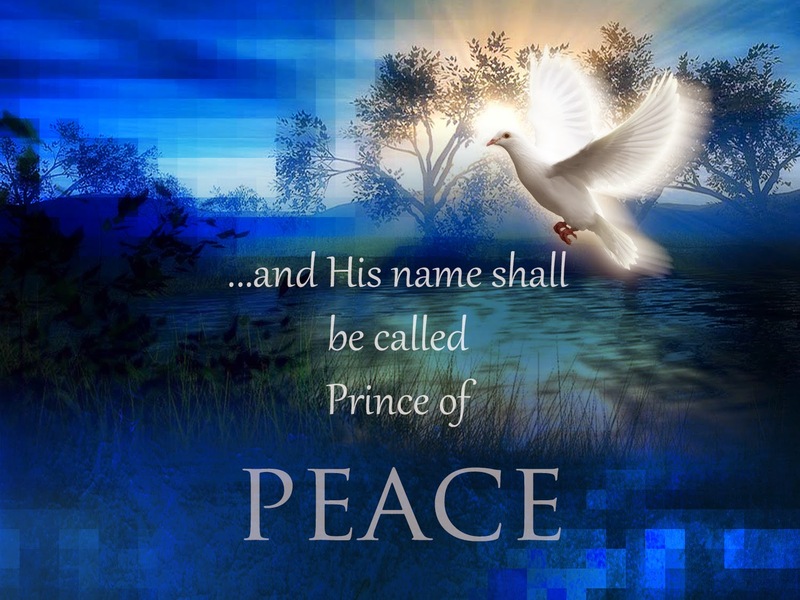 Scripture calls him the Prince of Peace … none other than Messiah Jesus, the Son of God. We are so very near to the completion of God’s prophetic promises. Plan A will soon be fully realized with the complete physical and spiritual restoration of God’s chosen people the Jews and with Israel as their permanent inheritance on this earth. Plan B will imminently come to fruition, beginning with transportation of believers in Messiah to heaven through the resurrection of the dead in Christ and transformation of living believers to our new bodies at the Rapture. So let’s pick it up at the Rapture (the beginning of the end) which will take place at any moment of any day in what will be the very near future. The Rapture will be the next astounding occurrence that will be the catalyst of earth-shaking, eternal destiny altering chain of events never before experienced in the annals of mankind. The twenty-one major events are listed in the order that they will take place. The significance of that number (seven times three—Divine numbers in Scripture) shouldn’t escape our attention. 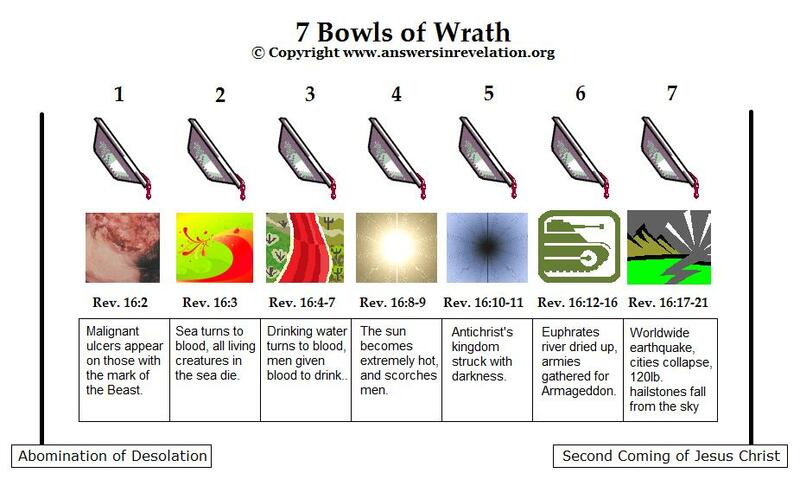 In like manner, there are twenty-one Tribulation judgments … seven seals, seven trumpets, and seven bowls. Although there are a few other events depicted in the Biblical last day’s scenario, they are part of one or more of these twenty-one major prophetic events not yet fulfilled. Although quoted several times in prior Eye of Prophecy articles, for purpose of today’s article I’ll only provide the source of the two primary Biblical passages on the Rapture: I Thessalonians 4 and I Corinthians 15. With, however, this observation: As explained in detail in one of the first five articles published in Eye of Prophecy on the Rapture (How the Rapture? posted 8-24-13), the entire episode will not transpire in the twinkling of an eye. Only the transfiguration of believer’s bodies will occur in the blink of an eye. From the beginning of the Rapture sequence (descent of Christ Jesus from heaven with a loud shout) to the grand finale of the dead and living in Christ transformation to our new bodies, will take several minutes. Nonetheless, it is the Rapture that will signal the beginning of what Scripture often calls the Day of the Lord. For believers in Messiah Jesus it will be a glorious day; for unbelievers and their man of lawlessness (Antichrist) it will be a terrifying time of great torment. The sudden reappearance of the Antichrist from the Abyss (Revelation 17:8) will trigger the cataclysmic carnage of the Tribulation. Beginning with many of those left behind giving him their total allegiance, because he will have returned to this earth nearly 2,000 years after he died. (See Revelation 13:3-4). 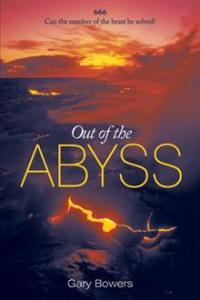 Most of an entire book I wrote (Out of the Abyss … can the number of the beast be solved? 666) contains in-depth documentation from all Bible passages on the Antichrist as well as first century history to demonstrate that the identity of the Antichrist can and should be understood and was known by at least the 1st through 4th century Christians. He is none other than the Roman Emperor Nero. Likewise, virtually all Eye of Prophecy articles in the category of Antichrist provide additional evidence to support this conclusion. “For God chose to save us through our Lord Jesus Christ, not to pour out his anger on us” (I Thessalonians 5:9). The entire purpose and timing of the Rapture is to complete (resurrected bodies) so great a salvation given to us when we believed and received Messiah Jesus as Savior, and also to spare us from God’s anger which will be poured out on a wicked corrupt world. In a parallel confirmation, as soon as John, the author of Revelation, is summoned and transported to heaven with what I believe are the same words that Jesus will shout at the Rapture (“Come up here” Revelation 4:1), the apocalyptic progression of the Tribulation begins to unfold. “The ruler will make a treaty with the people for a period of one set of seven…” (Daniel 9:27, “one set of seven” is seven years). From this verse we derive and express the end-time’s term of a Seven Year Tribulation. “…When my people are living in peace in their land, then you will rouse yourself. You will come from your homeland in the distant north … and you will attack my people Israel…” (Ezekiel 38:14-15). In today’s world the incessant but unsuccessful (thus far) attempts at peace unfolding in the Middle East reinforce what this passage is telling us. 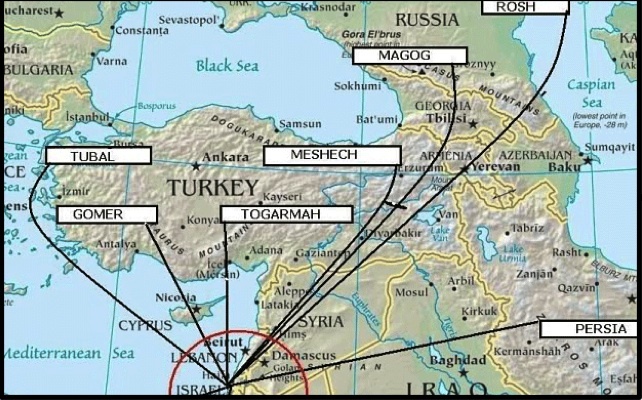 The time of the Gog/Magog campaign is (fairly) soon after Israel appears to be at total peace with her enemies—which could only happen after the treaty orchestrated by Antichrist Nero. Thus, Gog/Magog will not take place prior to the Rapture, as there will be no semblance of peace in the Middle East until this treaty. Nor will it occur near or at the end of the Tribulation. Scripture is abundantly clear: that will be the time when Antichrist and his ten-nation coalition (not the Gog/Magog alliance) will attack Israel (see Daniel 11). Referring again to Daniel 9:27: “…but after half this time, he will put an end to the sacrifices and offerings…” The very fact that the Levitical Sacrificial system had begun reinforces the existence of the Third Jewish Temple. Half this time is 3 ½ years after the treaty is enacted and the Temple is rebuilt. “Then the beast was allowed to speak great blasphemies against God. And he was given authority to do whatever he wanted for forty-two months … And the beast was allowed to wage war against God’s holy people and to conquer them…” (Revelation 13:5 & 7). This is one facet of the end-times sequence of events that I think few Christians fully comprehend. Although most understand that the seal, trumpet, and bowl judgments are successive—if for no other reason than all seven of each of the three sets of judgments are numbered and are revealed to us in sequence. Note: There are a couple of passages in Revelation that are not chronological (Chapters 12, 13, 17). Instead, they are what we call parenthetical to include description of Antichrist’s return and what he, his coalition, and the False Prophet will do from beginning to the end of the Tribulation. To also describe events that took place before the visions were given to John, such as the life and death of the Antichrist beast even before John saw him as he reappeared from the abyss. Specifically, I’m referring to when the seal, trumpet, and bowl judgments will take place throughout the entire Tribulation period of seven years. Which is: All seven seals will be broken (unleashed) during the early part of the Tribulation, the first four of which are the Four Horsemen of the Apocalypse. Followed by the first four Trumpet judgments that will not only be world-wide but will also result in the death of Tribulation saints who have embraced Messiah Jesus over Anti-Messiah Nero. In fact, the sixth and seventh seal judgments are strikingly similar to (and I believe the same as) the language in Ezekiel 38 & 39 regarding what God will do to the Gog/Magog invaders and to those nations (to include “friendly casualties”) that stand by and watch Gog attempt to invade Israel. However, beginning with the fifth Trumpet judgment, we see a dramatic distinctive shift in the target of God’s wrath, which is now directed to unbelievers who (by that time) have staked their destiny on and with Antichrist Nero. Scripture is telling us that the fifth and sixth trumpet judgments and all seven bowl judgments will be administered against unbelievers and their evil leaders during the last half of the Tribulation, because that is when Nero is granted full power and authority. “Then I looked, and I heard a single eagle crying loudly as it flew through the air, ‘Terror, terror, terror to all who belong to this world because of what will happen when the last three angels blow their trumpets’” (Revelation 8:13, italics for emphasis). I believe the evidence in Scripture is strong enough to show that the return of Jesus Christ to the earth will be in two stages. (I’m not talking about the Rapture, which has already occurred and in which Jesus does not actually come to the earth at that time). “Then the Lord will go out to fight against those nations, as he has fought in times past. On that day his feet will stand on the Mount of Olives, east of Jerusalem. And the Mount of Olives will split apart…” (Zechariah 14:3-4). “After saying this, he was taken up into a cloud while they were watching … As they strained to see him rising into heave, two white-robed men suddenly stood among them. ‘Men of Galilee … Jesus has been taken from you into heaven, but someday he will return from heaven in the same way you saw him go!” (Acts 1:9-11). Nearly all Bible scholars/teachers (including me) agree that his return is back to the Mount of Olives, exactly like Zechariah, then the angels predicted. The second and final phase of Messiah’s second coming will take place about 30 days after he sets foot on the Mount of Olives, from where he begins to lead, protect, rescue, and fight for and alongside the Jews in Israel. This is further explained in Zechariah Chapter 12. His second appearance is described in Revelation 19:11-16, beginning with, “Then I saw heaven opened, and a white horse was standing there. 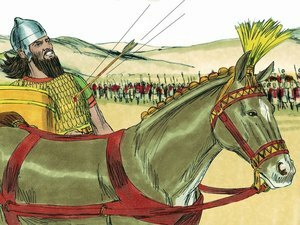 Its rider was named Faithful and True, for he judges fairly and wages a righteous war” (Verse 11). This passage is obviously referring to Messiah Jesus, but this time he’s on a white horse, and this time he completely vanquishes the armies of the earth. 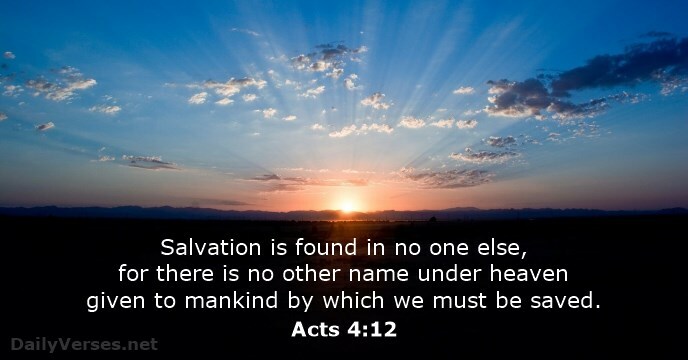 Moreover, this time all raptured believers will be with him as found in Revelation 17:14. Most Bible scholars assume that Antichrist’s defilement of the Temple takes place when he stops the Jewish sacrifices (half way through the Tribulation). But Scripture doesn’t support that view. Rather, this desecration will take place at the end of the tribulation, most likely a very short time after Jesus sets foot on the Mount of Olives. Which, as indicated, will be approximately 30 days before Christ returns with believers to end the reign of Nero and the authority of Satan in the final battle of Armageddon. Here’s why. Returning again to Daniel 9, we read what will happen after Antichrist (Nero) stops the Jewish sacrifices: “…And as a climax (meaning at the conclusion or end) to all his terrible deeds, he will set up a sacrilegious object that causes desecration, until the fate decreed for this defiler is finally poured out on him” (Daniel 9:27, parenthesis mine). Then Daniel is even more specific: “From the time the daily sacrifice is stopped and the sacrilegious object that causes desecration is set up to be worshipped, there will be 1,290 days” (Daniel 12:11). The span of 1,290 days represents the time between cessation of the sacrifices to setting up the object of worship that defiles the Temple. The connecting word, “and” does not mean in addition to; rather (by virtue of the length of the specified time) it means until (later on) or between. I believe the main reason Nero will erect this object (probably another statue of himself as God) is in direct defiance of Messiah Jesus’s return to Jerusalem’s Mount of Olives which is a short distance from Temple Mount. 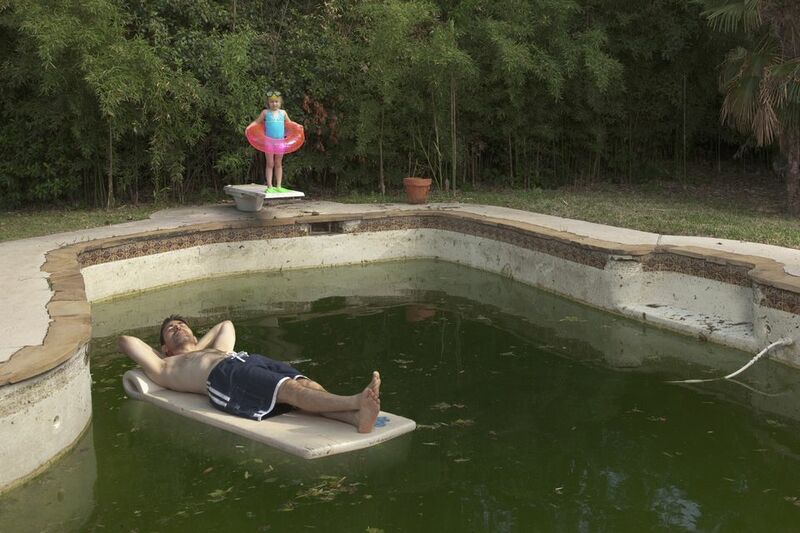 Why 1,290 days when 3 ½ years is 1,260 days? This extra 30 days is the time that Jesus will begin to rescue the Jews from the nations aligned against Israel, culminating in his triumphant return with the host of heaven 30 days later. “And the beast was captured, and with him the false prophet who did mighty miracles on behalf of the beast—miracles that deceived all who had accepted the mark of the beast and who worshipped his statue. 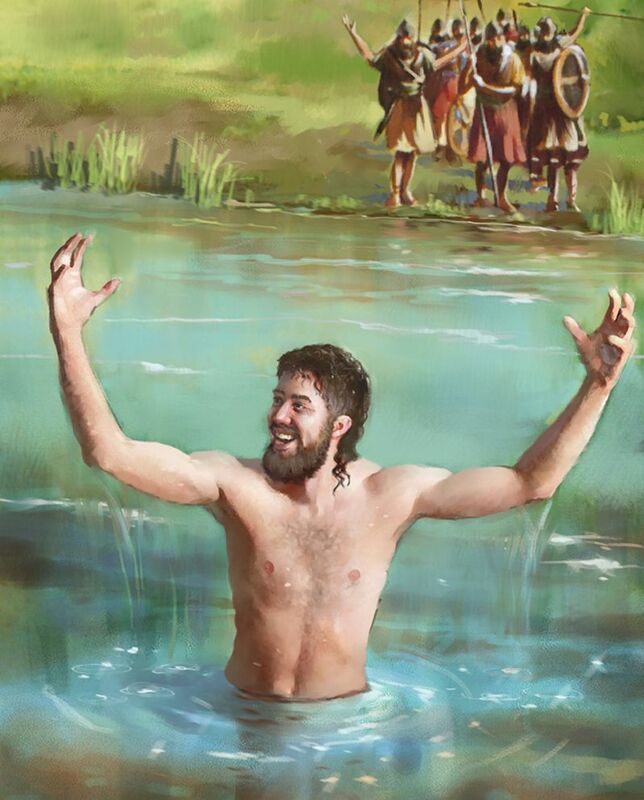 Both the beast and the false prophet were thrown alive into the fiery lake of burning sulfur. Their entire army was killed by the sharp sword that came from the mouth of the one riding the white horse…” (Revelation 19:20-21). “But when the Son of Man comes in his glory, and all the angels with him, then he will sit upon his glorious throne. All the nations will be gathered in his presence, and he will separate the people as a shepherd separates the sheep from the goats. He will place the sheep at his right hand and the goats at his left” (Matthew 25:31-33). In the rest of Matthew 25, Jesus explains the reason for this separation … which is the way that nations treated his “brothers and sisters.” I agree with those students of the Bible who say that the goats are nations (people still alive representing those nations) who mistreated and harmed Israel before and during the Great Tribulation. That’s why the word nations is first used in this passage; then later the people (of those nations). This is not the same as the final Great White Throne Judgment, which we’ll get to in a moment. The result of this separation: “And they (the goats) will go away into eternal punishment, but the righteous (Gentiles) will go into eternal life” (Matthew 25:46, parenthesis mine). However, Scripture does not tell us precisely when the goat’s eternal punishment begins. Is it immediately? Probably not. Most likely the meaning is after the goats eventually die (without acknowledging Christ as Lord and Savior), which tracks with the righteous going into eternal life. Not quite the end of Satan, but a good start! As I wrote in Out of the Abyss, with more elaboration in some Eye of Prophecy articles, there is nothing symbolic going on in this passage except the image of a dragon. An embodied Satan is literally bound with a “heavy” chain (a symbolic chain does not need to be described as heavy) and just as literally locked up in the Abyss. “…And I saw the souls of those who had been beheaded for their testimony about Jesus and for proclaiming the word of God. They had not worshipped the beast or his statue, nor accepted his mark on their forehead or their hands. They all came to life again, and they reigned with Christ for a thousand years” (Revelation 20:4). 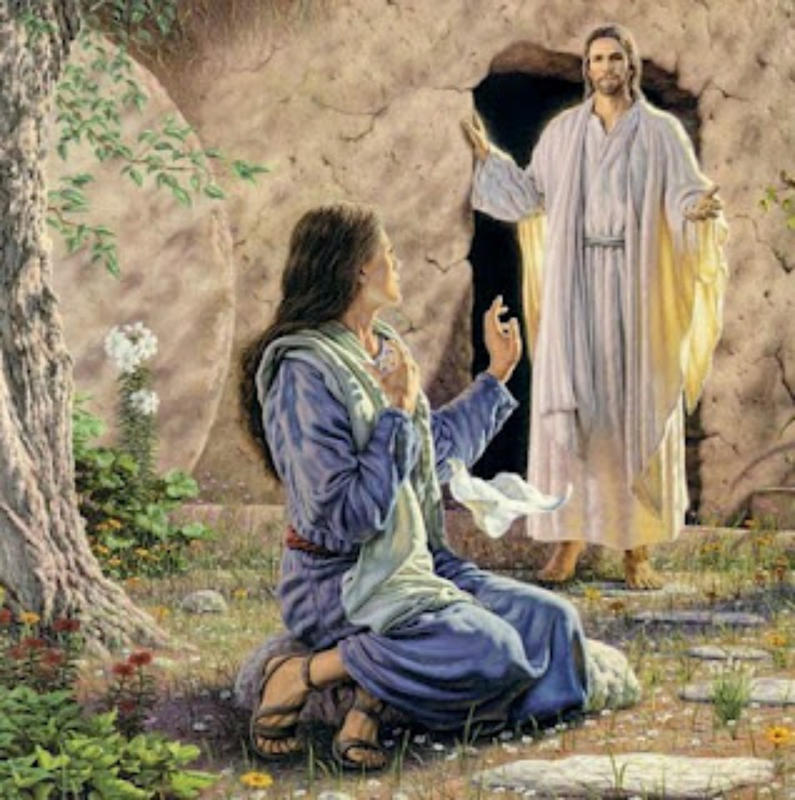 “This is the first resurrection (The rest of the dead did not come to life until the thousand years had ended.) Blessed and holy are those who share in the first resurrection. For them the second death holds no power, but they will be priests of God and of Christ and will reign with him a thousand years” (Revelation 20:5-6, parenthesis in the text). This also includes all believers taken (both the dead and living in Christ) at the Rapture. Together with the Tribulation Saints this is the “First Resurrection.” We know that the two groups must be combined because of other Bible passages which clearly state that all believers will share in Christ’s inheritance; which, among other glorious promises, includes reigning with him on the earth during the Millennium. “When the thousand years come to an end, Satan will be let out of his prison. He will go out to deceive the nations … He will gather them together for battle—a mighty army, as numberless as sand along the seashore” (Revelation 20:7-8). This is yet another anti-climactic battle to end warfare forever. “…But fire from heaven came down on the attacking armies and consumed them” (Revelation 20:9). An unfair fight wouldn’t you say? But rightfully so. For God’s judgements are always, “true and just” (Revelation 16:7). “Then the devil, who had deceived them, was thrown into the fiery lake of burning sulfur, joining the beast and the false prophet. There they will be tormented day and night forever and ever” (Revelation 20:10). And that will be all there is to that! This is when all the dead from the very beginning of the human race, who were not part of the First Resurrection, will stand before God Almighty. “And I saw a great white throne and the one sitting on it … I saw the dead, both great and small, standing before God’s throne … And the dead were judged according to what they had done, as recorded in the books … And all were judged according to their deeds. Then death and the grave were thrown into the lake of fire. This lake of fire is the second death. And anyone whose name was not found recorded in the Book of Life was thrown into the lake of fire” (Revelation 20:11-15). From the very beginning, the greatest obstacle, by far, preventing people from trusting in God’s promise of the coming Messiah, then actually believing and receiving Messiah after he first came to earth as our only source of salvation is: SELF-RIGHEOUSNESS. In this final judgment God will base his decision on “their deeds.” This is not a matter of bad deeds outweighing good deeds (or vice versa). God plainly says in Scripture that, apart from his righteousness, there is no one who is righteous; that the only remedy is the substitutionary sacrifice of his Son to make us right with God. 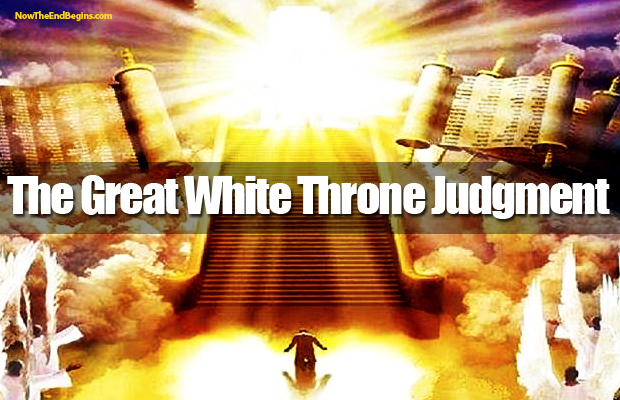 Thus, God will grant their wish by judging them according to their deeds, because that was the reason (and will be their excuse at the white throne judgement) for rejecting God’s way of redemptive righteousness while they lived on the earth. Every person being judged will attempt to defend themselves in some fashion by boasting about the “good things” they did on this earth. Therefore, God should realize that and accept them into heaven. 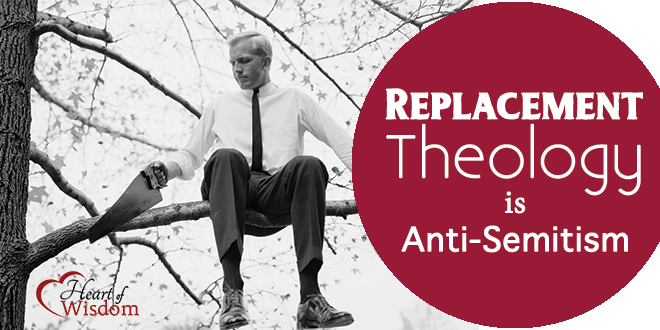 What they refused to accept when they were alive is that trust in God instead of their own self-righteousness would save them. That he did for them (all of us) what we could not possibly do for ourselves through good deeds. Hence, God’s final sentence is ultimately based on their rejection of His Son, Messiah Jesus—both the promise of his coming and especially after he arrived on the earth. Because of other passages in Scripture, not the least of which is the eternal existence of the earthly Jerusalem, the “new earth” will be an extreme makeover of our planet, to the extent that the current earth for all practical purposes will “disappear.” Believers will have the wonderful privilege to watch our great Triune God recreate the heavens and earth. We will see this miraculous transformation take place. Amazing! The New Jerusalem will be stunning it its beauty and size, and will be the eternal dwelling place for believers in Christ. It will hover above the new earth and be a splendid part of the new heavens. See Revelation 21 for the magnificent details. “…Look, God’s home is now among his people. He will live with them, and they will be his people. God himself will be with them. He will wipe every tear from their eyes, and there will be no more death or sorrow or crying or pain. All these things are gone forever. And the one sitting on the throne said, ‘Look, I am making everything new!’” (Revelation 21:3-5a). Only one thing remains before the other twenty last day’s events begin to unfold in kaleidoscope intensity and in rapid-fire time. Jesus himself said it … we call it the Rapture. “Yes, I am coming soon!” (Revelation 22:20). Amen! Come, Lord Jesus!” (Revelation 22:20).